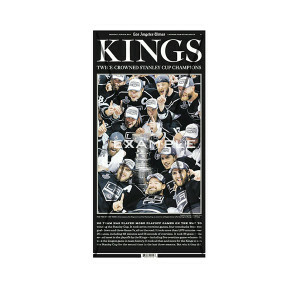 Have your own piece of the L.A. Times with this print plate produced for the printing press! 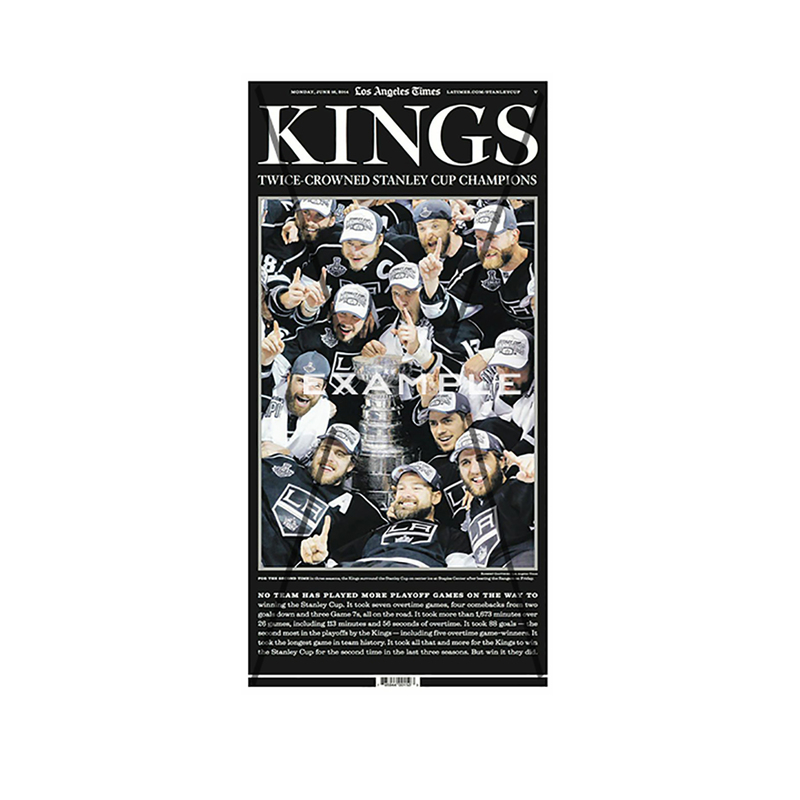 Made of aluminum, this printing plate of the Los Angeles Times 6/16/2014 LA Kings Stanley Cup Championship Special Section front page is suitable for framing. Produced in The Times pressroom. (note: picture shown is of front page, not actual plate). Plate displays in negative color. Shipping takes 7-10 business days.